Even though I graduated high school last year, I am close with a ton of seniors that will be embarking on their own graduation seasons very soon! Graduation season is so much fun... from planning parties to getting excited about what's to come next, there is also something to look forward to. Of course, there is a lot of stress that comes with that, and I remember one of the most stressful (but exciting!) parts about my own graduation was planning my party. You can read about my graduation party here; it turned out to be one of the most fun days of my whole year! If you're new around here, I worked for a custom paper store in high school where I made mostly wedding invitations, but I had the opportunity to make my own graduation party invitations. This year, if I were to do it again, I would also want to mail out graduation announcements to people I wasn't inviting to my party! 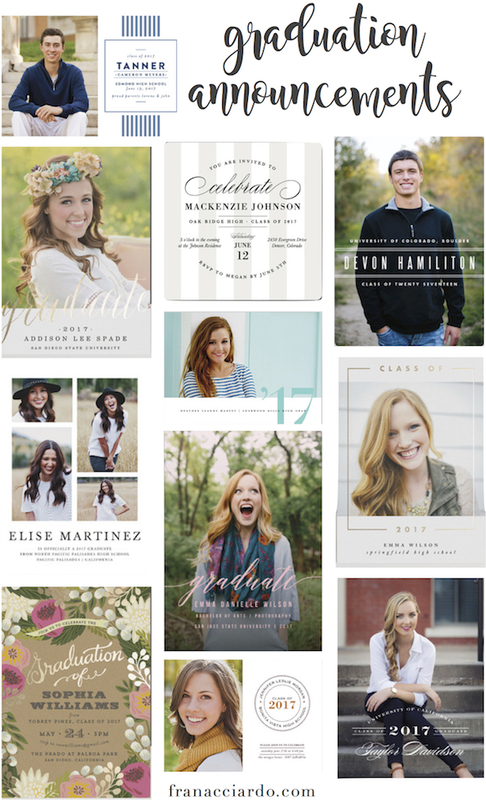 When I discovered Minted, an online paper store, I fell in love with their collection of graduation announcements. 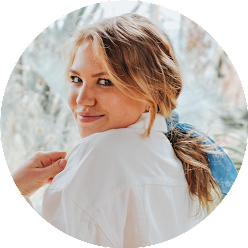 Seriously, if you're in the market for invites or graduation announcements, there really couldn't be an easier option out there with incredibly cute styles to choose from! Aren't they fabulous? I'm obsessed... kind of makes me look forward to doing it all again in three years! You can see the whole collection here. Minted did my wedding invitations and I absolutely loved the experience! The invites were so luxe, but they also didn't break the bank!